The Cambridge Philosophical Society collected this series of essays in commemoration of the centenary of the birth of Charles Darwin and the 50th anniversary of the publication of The Origin of Species. Aiming to be accessible to the 'educated layman', the eminent contributors reviewed the impact of Darwin's ideas in many spheres. They addressed contemporary (1909) attitudes, Darwin's theories and their far-reaching implications, and the progress of new lines of research that had emerged from them. The diversity of views among biologists regarding both the origin of species and the best directions for further research is clearly evident. In his work, Darwin had sought only the truth, writing 'Absolute accuracy is the hardest merit to attain, and the highest merit. Any deviation is ruin.' 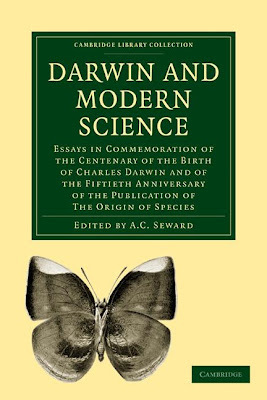 However dramatic the controversies he stirred, what shines from these essays is profound admiration for both Darwin's intellect and the quality of his character.